So perhaps we picked the coldest evening October had to offer to capture this cute pair. And perhaps Thunder found a giant bush of stickers to entangle in his beautiful palomino coat and mane. But, both of these factors just served to bring out the quieter side of fun and the details of Nick and Courtney’s budding love story. Nick is a quiet-natured, motorcycle and dirtbike riding, mechanical-minded guy. Courtney is a spunky go-getter, with a dance and drama background and a big love for horses. His love had to be persistent to win her. Trading a bikeseat for a horse saddle, Nick learned his way around the barn, tack, and a mount that talks back. One day as they tacked up to ride, he asked Courtney to double-check a buckle on Thunder. 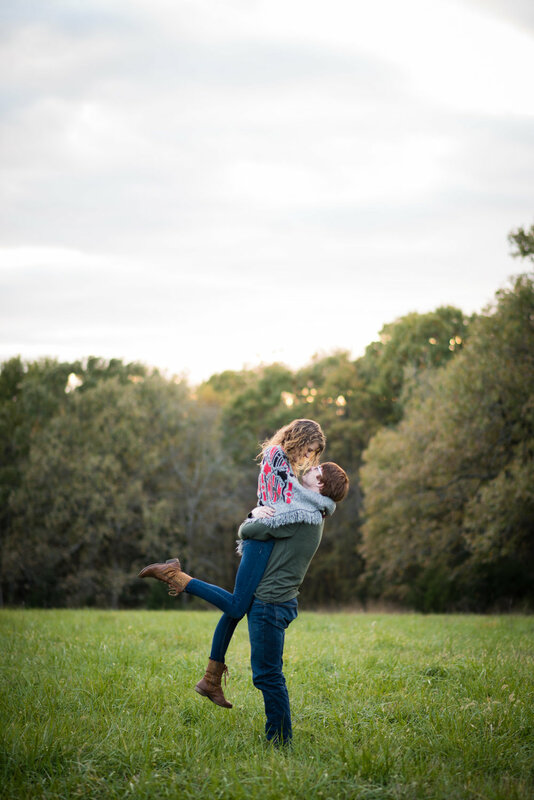 When she turned around to confirm it looked good, she found Nick waiting on one knee. The rest, as they say, is history. Thunder stared down the entire scene. With such a role in their story, it was perfectly logical that Thunder and China needed to be included in their engagement session. Before we could brave the cold and ride off into the sunset, Nick and Courtney warmed up (Ha! It was too cold to warm up - who am I joking) with a cup of coffee and laughter. The blanket was big enough - for one. But neither of them seemed to mind snuggling closer to make it work. Bringing China and Thunder out for the last half of our session, they hammed it up for the camera and truly made the “double couple” session fun and memorable. 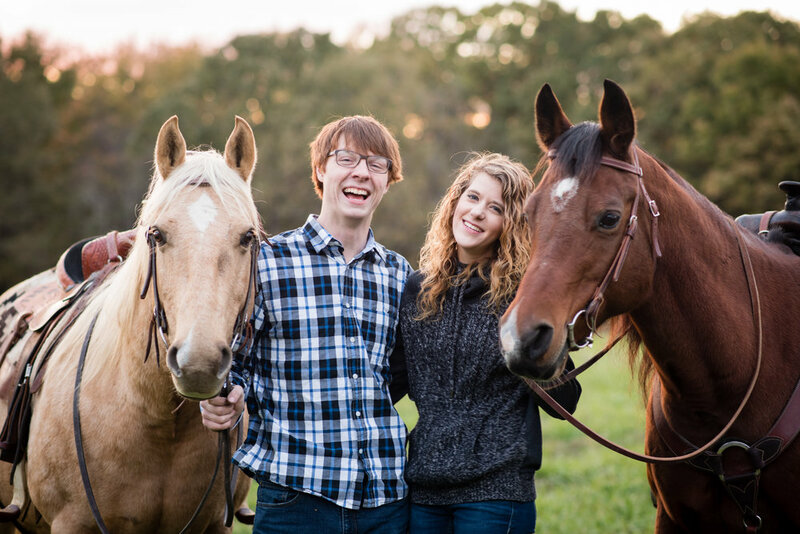 There is something so calming about horses, and Nick and Courtney both relaxed and opened up even more once we started working with them. I look forward to sharing pictures from their wedding this September! 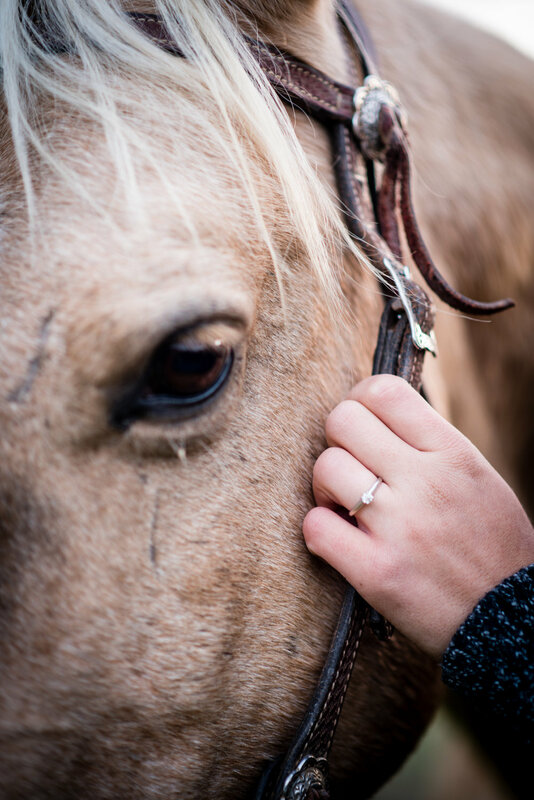 Stay tuned for more Western and rustic love with these two!